It seems surreal, but in a little under four months I will officially be a Penn State alum. For the past four years I have been fortunate to call State College, Pa. my home. I have met some amazing people, made unforgettable memories, and grown in w ays I never knew I could. I will always be a Nittany Lion, but my time as a student is coming to a close, rapidly. However, as I look to start my new chapter, I know that I have some amazing things left in my Penn State experience. I am grateful every day that I decided to join the Public Relations Student Society of America (PRSSA) chapter at Penn State my sophomore year. Through PRSSA, I have made great friends, chased down dreams (one of which was living in California this past summer) and found family in Pennsylvania. PRSSA THON has become a second family to me. We laugh, we cry, and though we don’t always see eye to eye, in the end we love each other. PRSSA THON has given me the honor of dancing in THON this year, and I honestly cannot wait. It is a privilege to have been selected for and I am beyond grateful that I am given the chance to represent our organization, the Whiteheads and the Scotts. After THON, I am looking forward to making more memories with the people I love here at Penn State. Between job hunting and wrapping up classes, it will be a busy but amazing spring. I realize the second semester of senior year is not something to be depressed about, it is something to cherish. As a child, I always made sure I saved the best part of my meal for last, and at Penn State I am sure I have done the same. January 21, 2014 in Communications & Digital Strategy. 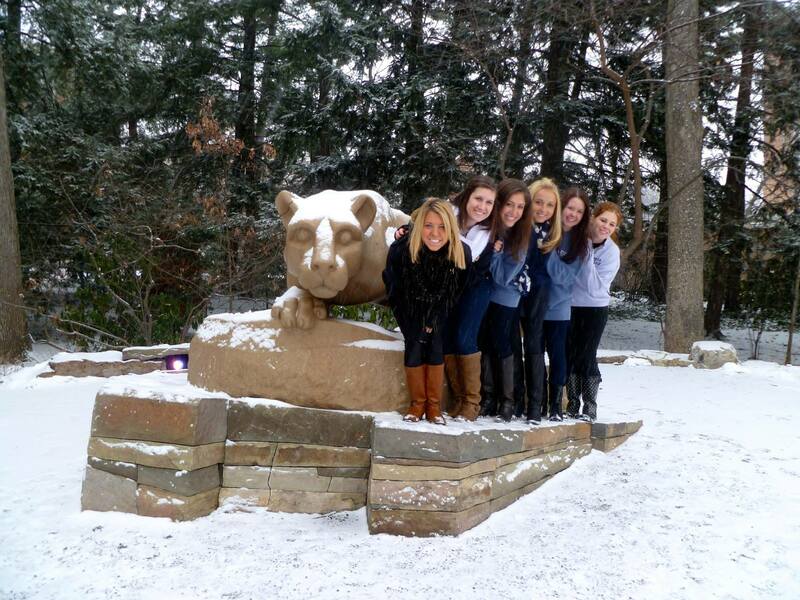 ← Penn State PRSSA Recruitment Video 2014- Come and Join Us!